A tiki tour of the South Island’s upper western corner uncovers delights to satisfy sand and solitude seekers, foodies and culture vultures alike. Roll into Nelson on a Saturday to trawl the stalls of the bustling produce, arts and crafts market, or hunt for recycled and vintage treasures at Monty’s Sunday Market. Be inspired by a visit to the World of Wearable Art and Classic Cars Museum, where mind-blowing works of art that are wearable can be viewed alongside a world-class collection of classic cars. Geography geeks can stroll 30 minutes’ up Botanical Hill to reach the Centre of New Zealand, where there are great views of the region. Take your pick of national parks – within one to two hours’ drive of Nelson you’re spoilt for choice. Hop aboard a water taxi in Marahau to explore the golden sand beaches and turquoise waters of Abel Tasman National Park. Stroll a section of the park’s famed coastal track before hitching a boat ride back to your car. In contrast, Nelson Lakes National Park to the south offers an alpine landscape with craggy mountains, native beech forest, and lakeside walks. Stop off in Murchison for whitewater thrills and spills on a jet boat or rafting trip. Ditch the car to enjoy Tasman’s Great Taste Trail – a cruisey cycling route taking in vineyards, breweries, orchards and no end of spots to stop and enjoy quality local cuisine and sublime coastal and inland views. The 174-kilometre loop trail can be broken down into bite-sized portions, perfect for shorter rides. Carry a torch on the Wakefield to Norris Gully section, which travels through the 1.4-kilometer Spooners Tunnel, a decommissioned rail tunnel that is one of the world’s longest open to cyclists or walkers. Note the winter ferry timetable before meandering along the section of trail that follows the Waimea Inlet to picturesque Rabbit Island, where the Mapua Ferry transfers cyclists to the seaside village of Mapua. Don’t miss The Smokehouse on historic Mapua Wharf, where they’ve been smoking fresh seafood using traditional brick kilns and natural manuka shavings for more than 20 years. Sample from a wide selection of smoked fish, salmon, mussels and pates, which are now sent to outlets around the country. A feed from their award-winning fish and chip takeaways can be enjoyed at neighbouring Rimu Wine Bar, which showcases top drops from some of the region’s wineries. From here, it’s a 25-minute drive back to town. Take the picturesque inland highway from Nelson to the Moutere Hills to explore countryside dotted with art galleries, wineries, roadside fruit stalls and gourmet food producers. Be inspired at the historic home and gallery of Owen Bartlett and Katie Gold – both nationally renowned and very collectable clay artists. Enjoy a half-hour walk, talk and taste tour at Neudorf Olives, a family-owned producer of award-winning olive oils. Have a beer at The Moutere Inn. It’s the oldest pub in the country still in its original building, although the present owners say it’s been spruced it up with fancy things like electricity and toilets since thirsty patrons were first served there in 1850. There’s just one road in and out of Golden Bay, but a trip over the Takaka Hill from Nelson is worth the effort. Fuel up with a flat white in the laid-back township of Takaka before following the road west to its end at Farewell Spit and the wild, wind-swept Wharariki Beach. Call in at the Mussel Inn in Onekaka for a Captain Cooker – the pub’s flagship beer made with freshly picked tips of the Manuka tree and organic Kiwi-grown hops. In seaside Collingwood, seek out Rosy Glow, where chocoholics will be in heaven sampling handmade confections made with love. Golden Bay boasts a thriving art community – there are more than 35 art galleries and museums to add to your itinerary! 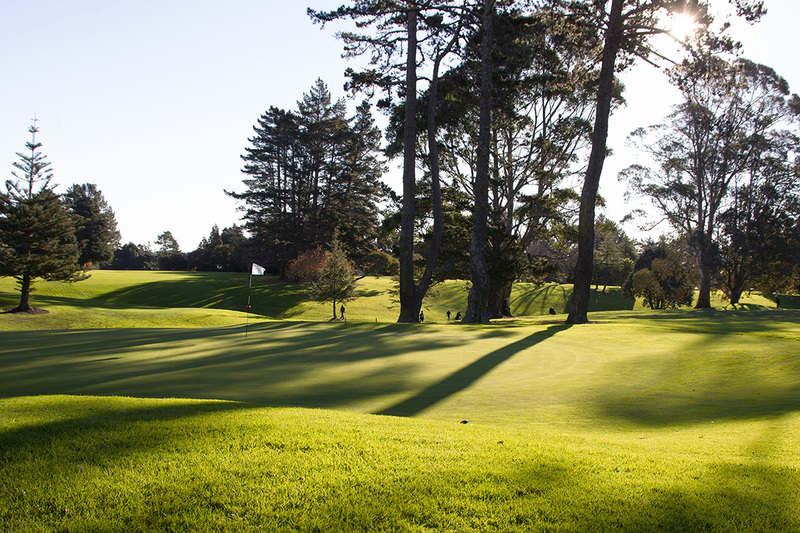 Home to the 2014 New Zealand Amateur Championship and the 2015 New Zealand Seniors Championship, the Nelson Golf Club is a superbly crafted links course that blends seamlessly into its natural coastal terrain. Tee off with incredible vistas across the bay to snow covered mountains. Located within cooee of the city’s airport, don’t be distracted by planes flying low overhead, while World War Two aircraft bunkers provide unique additional hazards on the eighth and 16th holes, a legacy of the New Zealand Air Force commandeering the golf course for use as an air base during the war. Anticipate the par three hole six, Nelson’s signature hole. If you’re visiting from out of town, pick-up an Avis rental car from the following convenient locations, and earn Fly Buys and Airpoints rewards with every booking. Plus, join Avis Preferred today and eliminate the paperwork and save time when picking up and dropping off your vehicle.